Why Does the Critical History of The Great Gatsby Matter? Understanding what helped Gatsby take hold as an American classic – its beautiful prose, the elusive Gatsby himself – can guide your approach to writing about the book. You’ll understand what the big picture ideas are and what your teacher is most likely trying to get at in teaching The Great Gatsby. As a general rule, if you’re reading Gatsby in a literature class, you’ll likely spend a lot of time analyzing its literary devices, symbols, and characters. But if you’re reading Gatsby in a history or American Studies class, you can expect to focus more on its big-picture themes (particularly its exploration of the American dream) and historical context (Gatsby as a record of the 1920s). Understanding Gatsby’s history could also help you if you’re approaching the novel from a more modern perspective. If you’re writing about the role of gender, sexuality, or race in the novel (as opposed to the tried-and-true American Dream topic), it's important to understand how these aspects of the novel were initially recieved. If nothing else, this history explains why you have been assigned The Great Gatsby in class! The Great Gatsby novel was first published in 1925, during the height of the Roaring ‘20s (the nickname for the post-WWI economic boom). Fitzgerald also didn’t like the title his publisher insisted on – his preferred title was “Trimalchio” or “Trimalchio in West Egg” (read our article about the title and alternate titles of the Great Gatsby for more info). But he was facing a deadline, and both his editor, Maxwell Perkins, and his wife, Zelda, were pushing him to finish. Gatsby debuted in March 1925 to lukewarm critical reviews. Many critics in the 1920s didn’t think The Great Gatsby was as good as Fitzgerald’s previous novels, especially his debut, This Side of Paradise. While he received private letters of praise from the writers T. S. Eliot, Willa Cather, and Edith Wharton, the public critical reviews were mixed at best. As quoted in a New York Times retrospective of The Great Gatsby, critics at the time were rather cold, saying that Gatsby was "clever and brilliantly surfaced but not the work of a wise and mature novelist." Other reviewers felt it was "a little slack, a little soft, more than a little artificial, [falling] into the class of negligible novels." 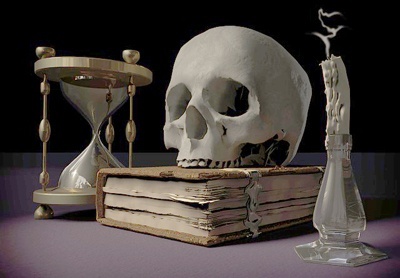 The noted writer H. L. Mencken said that it was "certainly not to be put on the same shelf with, say, This Side of Paradise," and Isabel Paterson remarked that "what has never been alive cannot very well go on living; so this is a book for the season only." However, despite those small bits of praise, the novel was not a commercial success. Fitzgerald hoped it would sell 75,000 copies, but it didn’t even sell 20,000 in its initial run. This lack of success probably contributed to Fitzgerald’s alcoholism and writer’s block after the publication of Gatsby (he didn’t publish Tender is the Night until 1934). While The Great Gatsby was kept alive by the publisher (Scribner) through the 1930s, and attracted a small literary following, it wasn’t widely read. (One interesting exception is J.D. Salinger, whose character, Buddy Glass, says Gatsby was his Tom Sawyer.) In 1934, Gatsby was reissued by The Modern Library, a renowned publisher of classics, but was again dropped in 1939. Apparently, at the time of Fitzgerald’s death in 1940, Scribner had moldering copies of the book in their warehouse. In short, during Fitzgerald’s life, Gatsby always fell just shy of “great” in the American public consciousness. 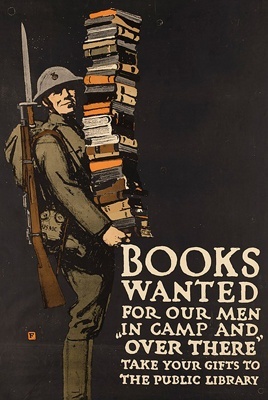 During WWII, the Red Cross started a program to send pocket-sized books to U.S. soldiers stationed abroad, as well as those being held in prison camps. The Great Gatsby was one of the books selected, and was consequently shipped to thousands of American soldiers during the war. By 1945, 123,000 pocket-sized copies of Gatsby had been shipped to American soldiers. The story of unrequited love and the failure of the American Dream resonated with the young men fighting abroad. This allowed the novel to suddenly become popular with a mass audience, and to get more attention from literary critics. In 1945, a new edition of The Great Gatsby was published. In the introduction, Lionel Trilling wrote, “Fitzgerald is now beginning to take his place in our literary tradition.” It was also reprinted by Bantam Books. Full-length articles about Gatsby appeared in 1946. 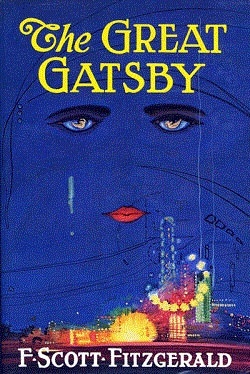 One literary critic, William Troy, said in an article that the novel was “one of the few truly mythological creations in our recent literature,” which speaks to not only Gatsby’s growing acceptance in the literary canon, but also the sense critics had that there was something special about it. Throughout the 1950s, The Great Gatsby continued to grow in popularity and was the subject of a lot of literary criticism (a.k.a. writing about literature) – which is important because critical attention by professors and graduate students caused The Great Gatsby to be placed on more college syllabi. This eventually trickled down to high school classes and caused Gatsby to become more and more popular each year. The prose, symbolism, and relatively short length also made it a popular choice with English teachers and literature professors. 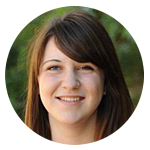 Moreover, the timelessness of the novel's themes – the broken promise of the American Dream, doomed love – make it a consistently popular choice to be assigned very commonly both in high school and in college classes. Literary critics and writers have continued to find new angles and approaches to Gatsby in recent years. For example, one professor contends Jay Gatsby is actually part black, but passing as white, while Dana Goldstein and other feminist critics have come to Daisy Buchanan’s defense. Finally, in the twenty-first century, Gatsby’s continued popularity has made it a cultural touchstone. Search for “Gatsby” online and you’ll find dozens of pages about Gatsby-themed parties and costumes, as well as all sorts of articles about the recent (2013) film adaptation. So even though Gatsby wasn’t popular in its time, it has now become a classic book and a cultural touchstone. Ready to jump in? Check out our guides to Gatsby’s title, its opening pages and epigraph, and the first chapter.